Okurrrr! Cardi B and Offset were heating things up on stage at the Revolve Festival this weekend! The “I Like It” rapper and her on again off again hubby (?) Offset performed at the Revolve Festival on Sunday where they shared a kiss at the end of their set. After the sweet moment, Cardi smiled and ran offstage! 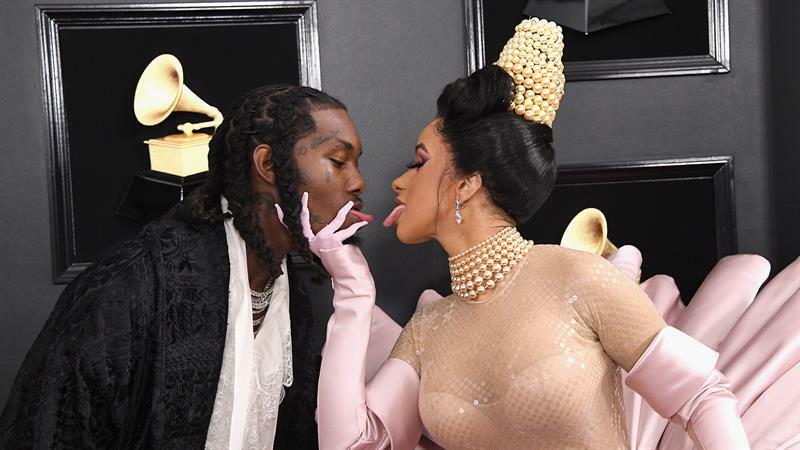 The Grammy winner also posted a few steamy vids with Offset before her performance. She showed off a few pricey gifts the rapper bought her, including a pink Chanel bag and matching sandals. The “Taki Taki” hitmaker also posed in the mirror with Offset where she lip synced while he showered her with kisses. The couple broke things off publicly in December following Offset’s alleged cheating. Cardi announced to her fans on Instagram that she was filing for divorce from Offset. However, Offset wasn’t ready to give up just yet! Following many attempts to win Cardi back, he and his wife are back on track. Looks like Cardi will continue to make money moves with her man by her side!